There’s still a week left before NVIDIA officially reveals its next generation flagship graphic chips but that doesn’t mean we can’t get a glimpse of what’s coming up. In fact, we now know almost everything there is to be known about the new GPUs thanks to the constant leaks in the past couple of weeks, the latest of which show the front side shots of the XFX built boards by the Chinese site Experview. 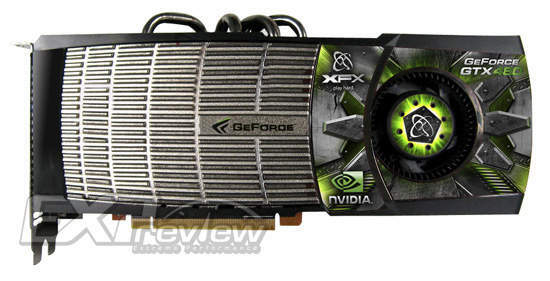 The XFX GeForce GTX 480 is one of the largest GPU boards I have ever seen. Judging by the size of the PCI Express connectors, the card is roughly 12 inches in length and would definitely pose a problem for a lot of people since most cases don’t support boards of that size. The heat sink and heat pipes also seem to confirm the rumored near-300W power requirements. Lets just hope that the card also delivers the necessary gains compared to AMD’s Radeon HD 5870 which is looking more and more attractive right now. The XFX GeForce GTX 470 is slightly smaller than its older brother, but still one very large PCB. Though the reduction in hardware has probably helped cut its power requirements considerably because there aren’t any heat-pipes or an over sized heat sink visible. 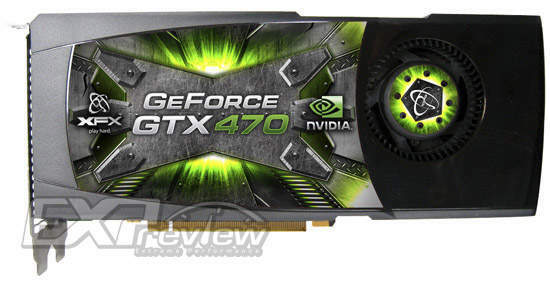 As the rumors go, the GeForce GTX 480 and 470 are 10 to 20% faster than Radeon HD 5870 and 5850 respectively. On the flip side, they also cost a lot more, and consume nearly twice the power compared to the AMD boards. I guess it will definitely come down to in-game performance which will decide whether these chips would be a commercial success or not.